Fight Like a Girl introduces readers to the history of feminist activism in the U.S. in an effort to celebrate those who paved the way and draw attention to those who are working hard to further the feminist cause today. Nearly every day there's another news story, think piece, or pop cultural anecdote related to feminism and women's rights. Conversations around consent, equal pay, access to contraception, and a host of other issues are foremost topics of conversation in American media. And today's teens are encountering these issues from a different perspective than any generation has before--but what's often missing from the current discussion is an understanding of how we've gotten to this place. 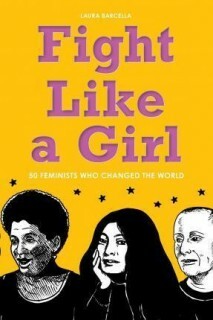 Fight Like a Girl introduces readers to the history of feminist activism in the U.S. in an effort to celebrate those who paved the way and draw attention to those who are working hard to further the feminist cause today.